The perfect gift for your diva - she will want one in every color! 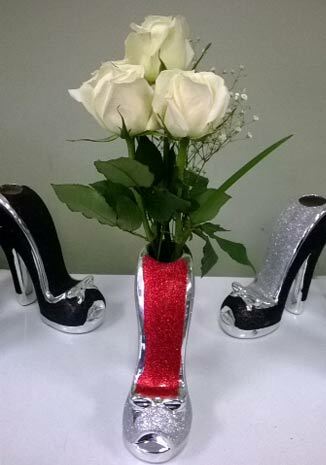 A high heel shoe vase with 4 premium roses - your choice of color - white, pink or red. Shoes available in red, silver, hot pink, light pink, green, and lime green. Shoes + flowers = 1 happy girl! Click the button below to add the Blooming Burlesque to your wish list.